The London School of Economics and Political Science (LSE) has revealed designs from the six architects shortlisted for its next major building project: 44 Lincoln’s Inn Fields/The Paul Marshall Building. 19 November 2015 – RIBA Competitions is delighted to announce that a shortlist of six teams has now been selected to take part in the design stage of the competition for the redevelopment of the LSE’s 44 Lincoln’s Inn Fields site, which will be known as The Paul Marshall Building. • The new building will play a key role in promoting the values, ethos and brand of the School. • Its contemporary high-quality design will inspire future generations of students and academics and will be regarded as a seminal piece of university architecture in its historic setting overlooking Lincoln’s Inn Fields in central London. • Innovative and adaptable teaching and research workspaces that combine the best of old and new methods of student-centred learning and academic enquiry/scholarship. • The building will be integral to the transformation of the campus and enhancement of the public realm as well as contributing to the quality of its unique neighbourhood. • Environmental sustainability and carbon minimisation will be fundamental aspects of the building’s identity. Eighty seven expressions of interest were received by the 19 October deadline. Panel members met on Thursday 5 November to select the shortlist of six teams. The competition brief will be issued in January 2016 and the winning team will be selected from the submissions. All shortlisted teams will be paid an honorarium of £15k. 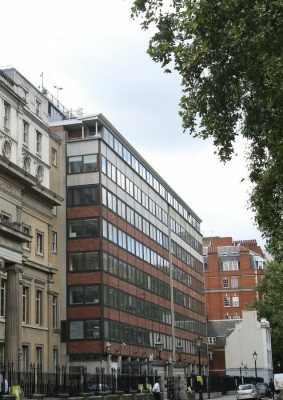 Paul Marshall is a major benefactor of LSE, recently contributing £30m for the creation of the Marshall Institute for Philanthropy and Social Entrepreneurship and towards the redevelopment of 44 Lincoln’s Inn Fields, which was purchased by LSE in 2013 from Cancer Research UK. The new building will house The Marshall Institute alongside a number of academic departments and research centres, following completion of its redevelopment.